Boulder doesn’t love much more than it loves bikes. The city has repeatedly been named one of the world’s top places for bikes. It was called one of the top 10 best bike-friendly cities (USA Today 10Best.com, 2014); Top Urban Bike Paths (USA Today, 2013); and fourth most Bike-Friendly City in the World (Virgin Vacations, 2011). 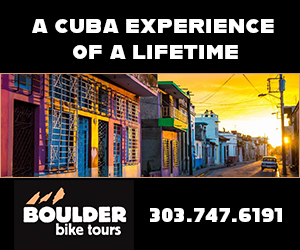 The expert of them all, Bicycling Magazine, named Boulder among America’s Best Bike Cities. So it comes as no surprise that Boulder dedicates an entire month to biking. 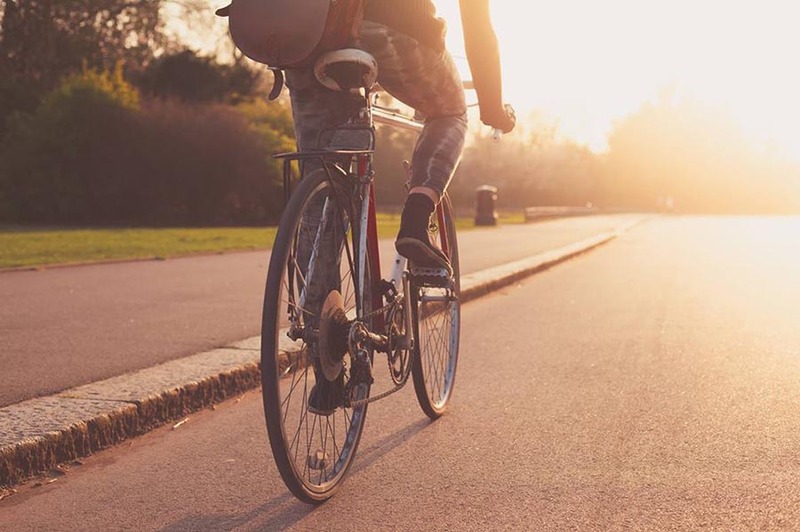 June is the 42nd-annual Walk and Bike Month, filled with special bikealicious events (even more than usual, which is already a ton). The city and community partners are offering more than 60 free bike rides, walks, mountain bike rides, running events, scavenger hunts, historical walking tours, hikes and other events for adults and kids throughout the month. It’s one of the biggest events of its kind in the country. It all culminates on Bike to Work Day, June 27. Other cities across the state participate in Bike to Work Day, too, but Boulder does it extra. The city boasts nearly 50 different breakfast stations set up throughout the city. All you have to do is register for Bike to Work Day online, leave the car at home on June 27, pedal to get your grub at specific locations and then head to work. Breakfast locations in Boulder include Alfalfa’s Market, 1651 Broadway; Boulder B-cycle, 3601 Arapahoe Ave.; Google Boulder, 2930 Pearl St.; Moe’s Broadway Bagel, 3075 Arapahoe Ave.; and St Julien Hotel & Spa, 900 Walnut St.
Breakfast is served from 6:30-9 a.m. You can find water stations, too, which are open later, from 3:30-6 p.m. to keep you hydrated on you trek back home. At the different stations, you can also sign up for prizes. We’re talking a trip for two to Iceland. Concert tickets. Hotel room stays. An electric bike. The prizes are legit. Register for bike to Work Day here to help organizers quantify how big of an impact the event has on the community. Can’t ride? Then walk. Can’t walk? Even public transportation is encouraged above a gas-guzzling vehicle. There’s something going on nearly every day this month, but a cool event to join is Walk 360. Every Sunday in June, people will gather to walk different different chunks of town (in 6-ish-mile chunks at a time). The goal: to trek a full 26 miles over the month, while learning more about Boulder’s history, nature and more. If you complete all four sections, you get a Walk 360 sticker and boasting rights, of course. Want an extra challenge? You can compete in a “Slow Marathon” and conquer all of those 26 miles in a single day, on June 30 starting at 6:30 a.m. at Four Mile Creek Trailhead. Don’t worry; there are breaks along the way, including lunch at the Table Mesa Shopping Center. It’s free to join. Unlike a fast marathon, it’s not a competition. 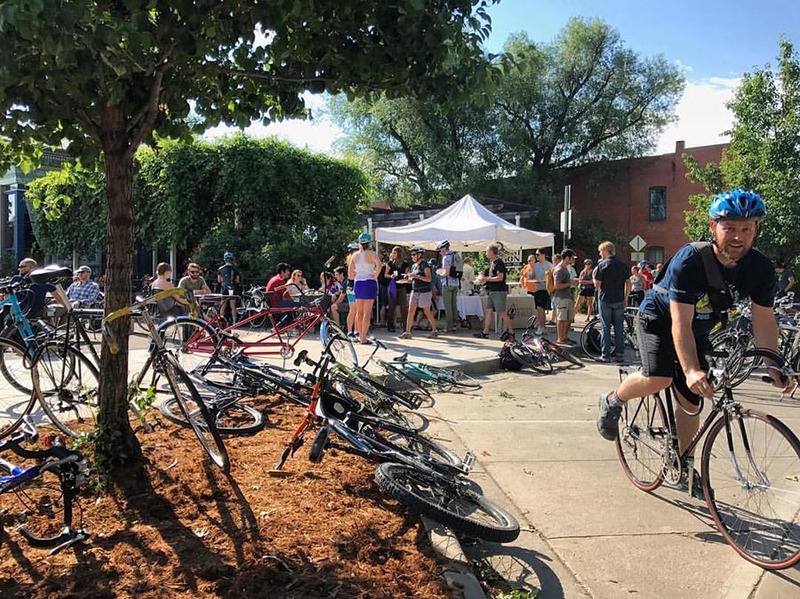 If you’re a bike purist in Bike Month and want to get off your feet and onto two wheels, check out the 20th-annual Circle Boulder by Bicycle community ride. These self-guided, non-competitive rides explore Boulder’s path system (following a 22- or 11-mile route) and culminate with a party at the Valmont Bike Park. Then there’s the Public Art Bike Tour, a guided bike tour along Boulder Creek Path and other paths in Boulder to look at the public art around town. The Boulder Bike Show on June 14 at the Rayback Collective, 2775 Valmont Road, is another don’t-miss event. Bikes will be crowded honors like the Best Decorated, Most Classic (vintage), Best Frankenbike and Most Equipped Commuter. The whole month is one big party on wheels and there are plenty of ways to get involved, whether you want action-packed fun all June or you just want a quick and simple free breakfast on Bike to Work Day. Even the smallest efforts add up to make a big difference.